We are always honoured and humbled to win any award, but they mean even more to us when they are voted for by our industry peers and customers. To us, it means we are being recognised for what we do best: delivering honest, valuable, top-quality financial advice and an unbeatable service for all our customers. These awards mean so much to everyone here at Bower Retirement and we sincerely thank everyone who has voted for us. “We are overjoyed to have won the award for Best Equity Release Adviser for the 6th year running at the What Mortgage Awards 2018. Bower Retirement are thrilled to have been awarded a Feefo Gold Trusted Service Award 2018. Our level of service and the experiences we offer each client, based on their individual needs, is what sets us above the rest. Thank you to everyone who took the time to leave a review and rated us last year. Here’s to another year of exceptional service. We are delighted to announce that we have been awarded Equity Release Adviser of the Year in the Investment Life & Pensions Money facts Awards 2017. The judging process was based on the quality (opposed to the quantity) of testimonials that were received from customers, partners, providers and anyone else who took the time to support us, so a big thank you to everyone! It is always an honour to be recognised for such awards and we will continue to set the bar high in delivering the best service and advice. We are delighted to announce that Bower Retirement have have been highly commended for Best Equity Release Adviser, in the 2017/18 Personal Finance Awards. It is always an honour to be recognised for consumer dictated awards as our customers’ satisfaction is everything to us. We are delighted to have been awarded the Best Equity Release Adviser – What Mortgage Awards 2017. This is the 5th year running for Bower Retirement, recognising our achievements of outstanding service and excellent advice. These awards are voted for by the public, in a completely independent nomination process and so we thank all our customers who took the time to vote for us. This recognition gives us immense pride and confirms our ethos of trust, honesty and service is at the heart of everything we do. 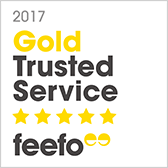 We are honoured to have received a Feefo Gold Service Award 2017.With our core values; Trust, Honesty, Service, always at the forefront of our minds, and the customer at the heart of everything we do, we are thrilled to have been recognised by our clients and Feefo for delivering an exceptional experience. We are honoured to have won Best Broker for Equity Release at the Mortgage Strategy Awards 2017.It is with pride that we accept this prestigious award and we are delighted that our service has been recognised as making sure our customers’ needs are met is paramount to us. Bower Retirement is proud to announce that Gordon Cunningham has won the prestigious 2016 Equity Release Awards under the category of Best Individual Adviser. The Equity Release Awards is an annual ceremony held to celebrate the very best in the equity release industry, and Bower are proud to be able to call Gordon Cunningham one of their own – Congratulations! We are extremely excited to announce that we have won the What Mortgage Award for ‘Best Equity Release Adviser’ for the fourth year running. This is a phenomenal achievement and is a direct result of the hard work and dedication everyone at Bower puts in to ensuring customer service is at the heart of every decision we make and all the advice we provide. 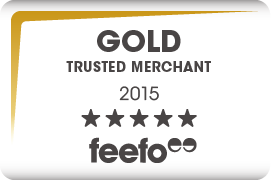 We are honoured to have been awarded the Feefo Gold Trusted Merchant Accreditation 2016. The global feedback website has again awarded us their highest customer service rating after hundreds of satisfied customers gave Bower an outstanding 100% positive feedback on the site. Bower Retirement is proud to have been a finalist in the 2015 Equity Release Awards under the category of Best Overall Adviser. This achievement goes alongside our winning the What Mortgage 2015 awards for Best Equity Release Adviser, the 2015 British Mortgage Awards for best Equity Release Broker and the Feefo Gold Trusted Merchant Accreditation, awarded on the back of our independent customer reviews. For the third year running, Bower Retirement has been voted ‘Best Equity Release Adviser’ at the annual What Mortgage Awards. The award was a testament to the ongoing commitment to customer service that every member of the Bower team works hard for on a daily basis. We would all like to thank the kind readers of What Mortgage magazine who voted and helped us retain the title. 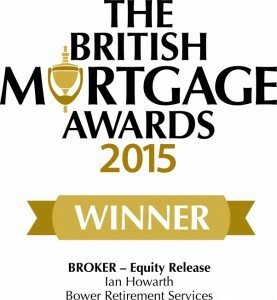 One of Bower’s expert equity release advisers, Ian Howarth, has won the prestigious ‘Best Equity Release Broker’ award at the British Mortgage Awards, 2015. The British Mortgage Awards is an annual ceremony held to celebrate the very best in the mortgage industry, and the entire Bower team is grateful to them for awarding Ian this amazing honour.Bower are glad to be able to call Ian Howarth one of our own – Congratulations! Bower Retirement has won the ‘Best Financial Adviser – 10+ employees’ at the 2014 Equity Release Awards. This is the second time that Bower has won this prestigious award and we are hugely grateful to those within the industry who voted for us. We add this prize to the ‘Best Equity Release Adviser’ award that the readers of What Mortgage magazine awarded to us earlier this year. 2014 has been a truly great year for everyone at Bower and these awards are testament to the dedication of our entire staff to provide the best equity release advice possible. Bower Retirement has been voted as “Best Equity Release Adviser” by the readers of What Mortgage magazine for the second year running. Over 19,000 readers of What Mortgage voted. Bower Retirement has been voted the “Best Equity Release Broker, 2013” in recognition of our dedication to customer service and quality of advice, by the readers of What Mortgage Magazine. What Mortgage Magazine is the UK’s number 1 mortgage magazine for consumers. In 2013 What Mortgage Awards achieved the landmark of 20 years of rewarding and celebrating the very best businesses in the UK’s mortgage market and this year saw one of the highest numbers of votes cast to date, with over 19,500 votes received for the best in the UK consumer mortgage, insurance and loan markets. Andrea Rozario, Chief Corporate Officer for Bower Retirement, won the prestigious industry award for Outstanding Contribution following over 5 years of high profile work as the Director General of the industry’s trade association, the Equity Release Council, formerly known as Safe Home Income Plans, SHIP. Andrea has spent the bulk of her career in financial services, specialising in equity release over the last decade. A regular press contributor, presenter, lobbyist and multiple award winning equity release adviser. The Bower team are proud to have won three prestigious awards at the recent annual industry awards ceremony hosted by Safe Home Income Plans (“SHIP”) which is now known as The Equity Release Council. The awards were presented in recognition of Bower’s commitment to service to customers and impartiality throughout the UK. Bower offer award winning equity release advice to our customers. Reflecting our commitment to professionalism and impartiality, the Bower team have also received the following awards.